During America's Civil War, one of the country's most-famous writers penned a poem about ... the American Revolutionary War. Henry Wadsworth Longfellow drew his inspiration from Paul Revere, a man who'd tried to warn colonials that the Redcoats were on the march. Longfellow didn't have all of his facts straight, about "the midnight ride of Paul Revere," but American school children—for many years—memorized his famous words. The work was first published in a magazine ("The Atlantic Monthly") in 1861, and in a book of poetry ("Tales of a Wayside Inn"), in 1863. 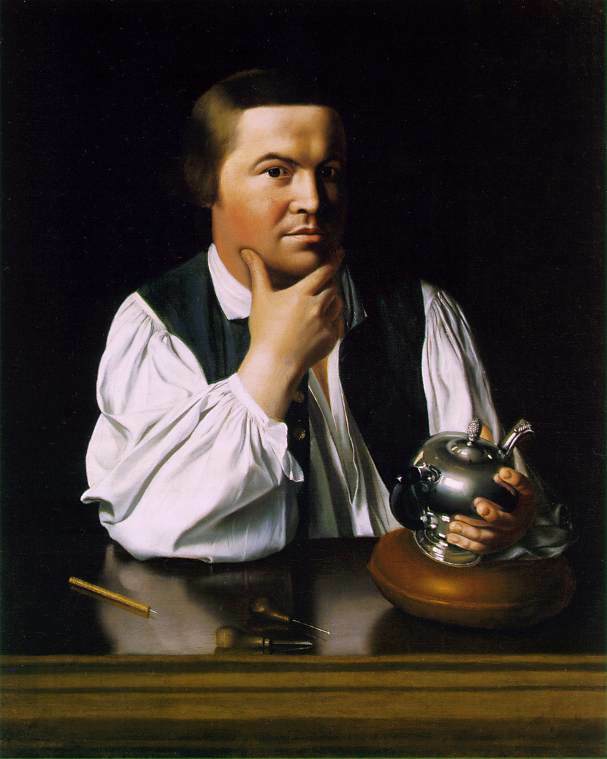 In this audio clip, Carole Bos (creator of AwesomeStories) reads "Paul Revere's Ride." "Paul Revere's Ride," by Henry Wadsworth Longfellow, read by Carole Bos (creator of Awesome Stories). Bos, Carole "Paul Revere's Ride, by Henry Wadsworth Longfellow - Audio" AwesomeStories.com. Oct 07, 2013. Apr 20, 2019.